Argh! 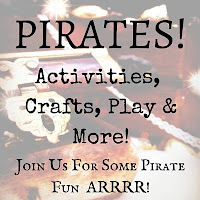 September 19th is International Talk Like a Pirate Day and we've joined a handful of bloggers from all over the world in Pirate crafts and activities for kids. 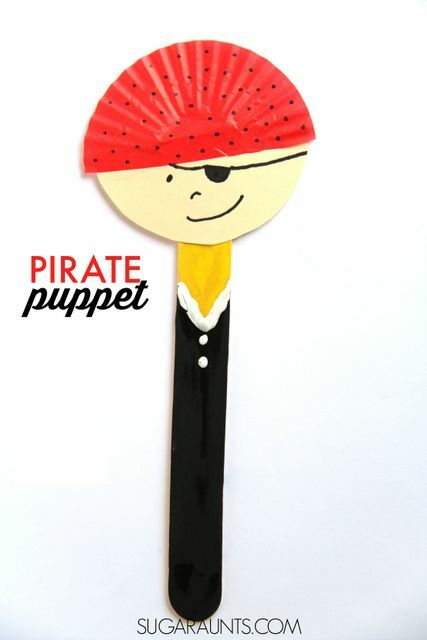 We made this Pirate Puppet craft using a cupcake liner and are ready for Pirate fun. So, Yo Ho Ho! Let's make Pirate Puppets! Start by painting most of the craft stick with poster paint. We love THIS BRAND for it's bold colors that dry brightly. 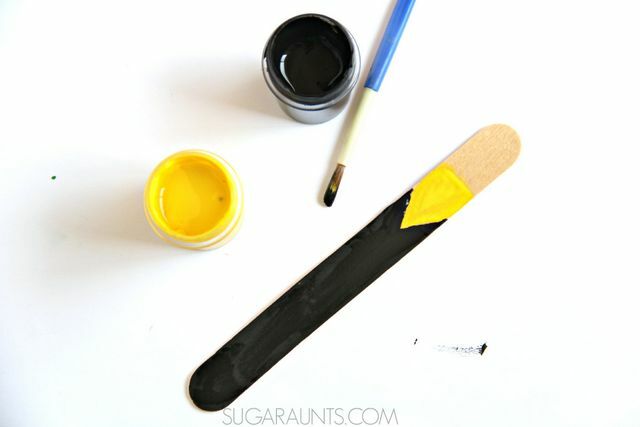 Add a yellow strip or triangle-ish shape tot the top of the craft stick. The nice thing about this craft is that it doesn't have to be exact, let your child's imagination run wild with their Pirate's clothes and painting! Allow the paint to dry while you create the puppet's head. 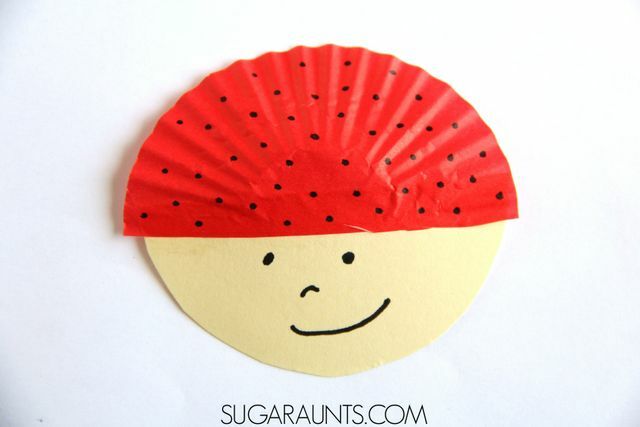 Cut the Red cupcake liner in half to create the Pirate's hat. 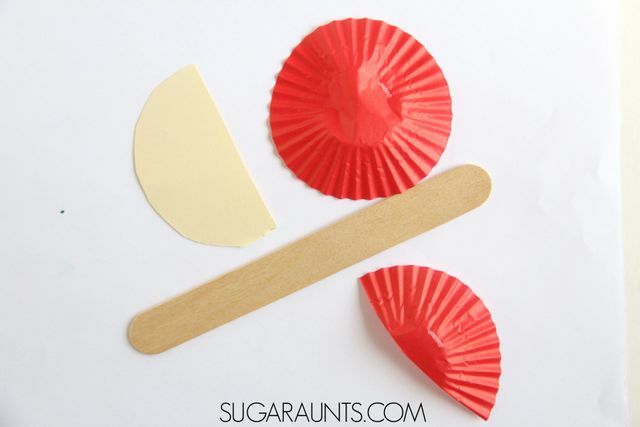 Cut the cardstock in half and glue the cupcake liner to the edge of the face. 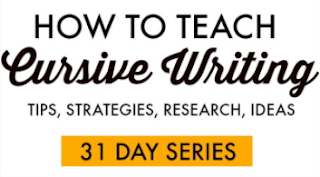 Add block dots with the marker. 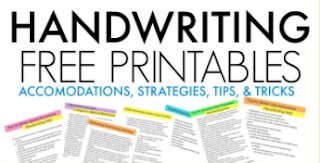 You can also use washable markers! My 8 year old has a new-found love for permanent markers, though and was happy to make the dots with hers. Add a Pirate-y smirk or angry face if you like. We decided to add an eye patch, too. Finally, tape the dry craft stick to the Pirate puppet's head. You will have to allow a couple of hours for the paint to dry, but then be sure to pretend play Pirate stories and Pirate jokes! Let us know id you make this craft. We would love to see your versions shared on our Facebook page.